I bought 2 of these last week as a gift for my wife and her sister. They both loved it. 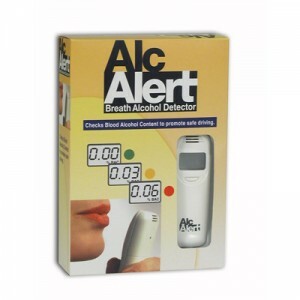 It's not the most professional breathalyzer but the quality was great and the results were very accurate. It was very easy to reproduce the results. over 300 tests Review by Michael C.
I've had the alcalert for over 6 months and i've counted more than 300 tests so far. So far testing multiple people daily hasn't caused the device any problem. it just keeps on ticking. only downside is that i paid $80 for it and now it's $20 cheaper. I got this for my birthday from my friends and we loved using it at the party. Everyone wanted to try it out and start a conversation about it.